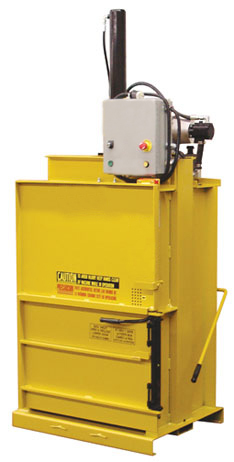 This small portable baler is designed for tight spaces and maximum output. 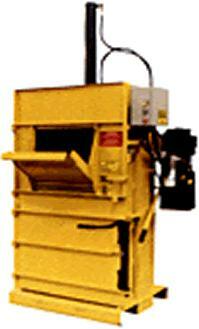 In addition to being a Portable Baler (optional casters) it has many other standard features that make it a very popular choice. Cardboard - Up to 145 lbs. PET bottles - Up to 110 lbs. Shrink Wrap - Up to 200 lbs. Steel Cans - Up to 190 lbs. Footnotes: If baling clothes for resale, remember to have the bale dogs removed from the inside of the baler . 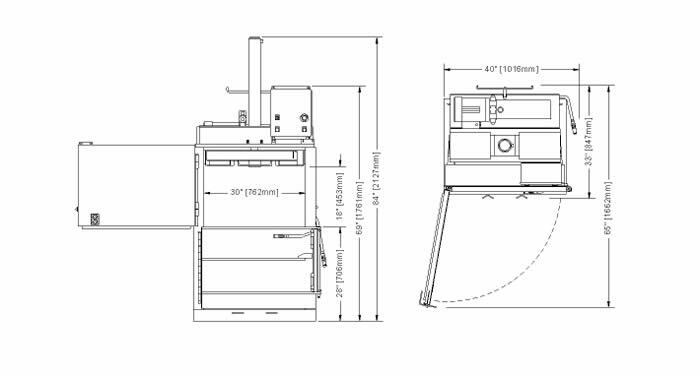 Bale Size 24" x 30" x up to 25"
Loading Door Opening 18"x 30"
Depth with Door Open 65"